Barack Obama knows that he is the only one standing in the way of a UN Security Council resolution that would formally recognize a Palestinian state, that would set the basic parameters for that state, and that would grant the Palestinians East Jerusalem as their capital. If Obama decided not to use the U.S. veto power to block such a resolution, it would be legally binding on both Israel and the Palestinians, and the next president would not be able to go back and reverse course. It would take another UN Security Council vote to rescind the resolution once it has been passed, and the votes would simply not be there to do that. So there is a great deal of concern about what Obama may do during his last few months in the White House. In fact, there is so much concern in Congress that 88 U.S. Senators sent him a letter last month asking him to continue to block any anti-Israel resolutions at the United Nations. Unfortunately, there is also a lot of pressure on Obama to support such a resolution. About a week ago, I wrote about how the New York Times editorial board has actually formally endorsed a UN resolution that would establish a Palestinian state. For the most important newspaper in America to take such a stand is extraordinary. 136 countries have already recognized a Palestinian state, and the international pressure on Obama to do something before he leaves the White House is intense. The Obama administration has not indicated which way they are going to go just yet, and that is leaving many people very, very nervous. UNESCO adopted an anti-Israel resolution Thursday that disregards Judaism’s historic connection to the Temple Mount and casts doubt on the link between Judaism and the Western Wall. Donald Trump and Hillary Clinton have both announced that they will not support a UN Security Council resolution that sets the parameters for a Palestinian state. So that makes the upcoming January 20th deadline that much more important. It may surprise you to hear that Clinton has come out so strongly against such a resolution, but the truth is that both candidates desperately need the Jewish vote in this election, and so both of them are taking positions that will appeal to Jewish voters. Eighty to 85 percent of Jews turn out to vote in national elections—more than 20 percent higher than the national average during the 2012 presidential election. More than one million eligible Jewish voters also live in 11 battleground states: Colorado, Florida, Iowa, Michigan, Nevada, New Hampshire, North Carolina, Ohio, Pennsylvania, Virginia and Wisconsin. Even though Hillary Clinton is a habitual liar, it is unlikely that she will break her pledge to Jewish voters to veto any anti-Israel UN Security Council resolutions, because she will need their votes again in 2020. So if we can get to January 20th and there is no UN Security Council resolution to divide the land of Israel, perhaps we can breathe a bit of a sigh of relief. But between then and now, there will be a massive amount of international pressure on Barack Obama to support such a resolution, and if he does support such a resolution the consequences for our nation will be exceedingly great. Attempting to divide the land of Israel is a big mistake, but it is a mistake that our leaders keep on making over and over again. Whether it is Barack Obama or some other president, someday the U.S. government will play a major role in helping to formally establish a Palestinian state. And when that happens, all hell will break loose in this country. So let us pray that this will be delayed for as long as possible. Personally, my hope is that we can get to January 20th without Barack Obama doing something very, very foolish at the United Nations. 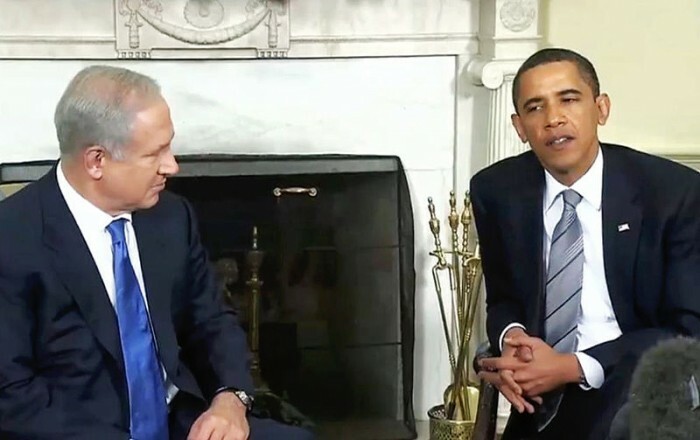 Obama To Divide The Land Of Israel? Next articleWhy Is Barack Obama Threatening Russia With World War III Right Before The Election?